Black Sabbath are sharing a behind the scenes look at rehearsals for their farewell tour. The band can be seen running through various songs – including some rarities – as they get set to launch the run on January 20 in Omaha, NE. 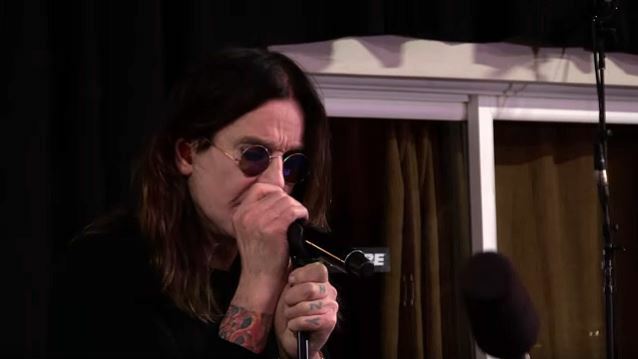 “We’re doing more classic Sabbath songs than the newer stuff,” says Ozzy Osbourne. The three original Sabbath members will once again be joined by Osbourne’s solo drummer Tommy Clufetos – he played on the “13” world tour as well – as Bill Ward continues to sit out a reunion with his bandmates over various issues. The tour will see Black Sabbath issue four unreleased songs from the sessions for their 2013 album, “13”, as part of a new limited-edition CD available only during shows on the farewell run. The band are packaging “Season Of The Dead”, “Cry All Night”, “Take Me Home” and “Isolated Man” on “The End” CD alongside four live tracks from the last tour.